Arkansas may be nicknamed the Natural State, but this year-round destination is also packed with historical attractions, award-winning foodie hotspots, and geological wonders too great to pass for “natural.” We’re talking much more than you’d expect — from the hills of the northwest to the Delta region, here are 12 incredible moments to experience in Arkansas. 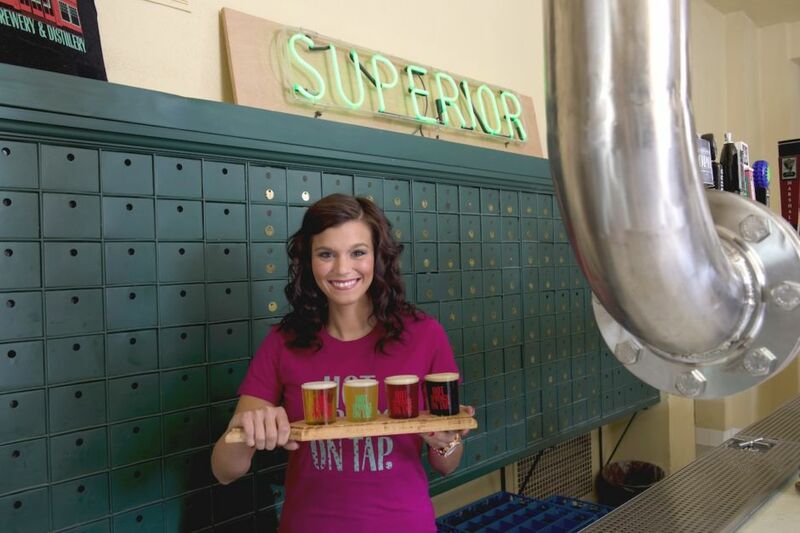 Superior Bathhouse Brewery in Hot Springs National Park uses the area’s thermal spring water (and ingredients from all over the world) to create its brews, from German-style ales to stouts. You heard right — a brewery in a national park. Located in Bathhouse Row on Central Ave, the brewery is housed inside one of the eight bathhouses built in the early 1900s. The park itself is located within the city limits of Hot Springs (it’s the smallest national park of the nation’s 59), and its hot springs pump out over 700,000 gallons of thermal water per day. For the record, Buckstaff Bathhouse is the only bathhouse that has been in continuous operation since it first opened (in 1912). In addition to Superior, other buildings have been renovated into a family-friendly spa, the park’s visitor center and museum, and the Bathhouse Row Emporium. 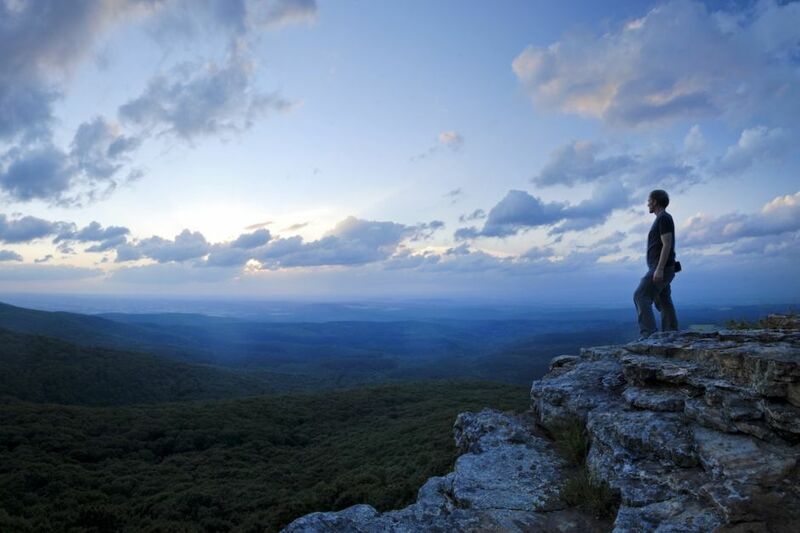 Hike the Signal Hill trail at Mount Magazine State Park, and you can brag that you climbed to the top of Arkansas. The 1.4-mile loop is an easy-to-navigate, moderate hike that reaches 2,753 feet. Find the trailhead a quick walk from the Lodge at Mount Magazine, a resort-style hotel looking over the Petit Jean River Valley. The park has 14 miles of woodland hiking trails and connects to another 60 miles of trails in Ozark National Forest, and there are areas for technical rock climbing and hang gliding, too. The Natural State has tons of waterfalls tucked away in its hills and hollows, including Hemmed-in Hollow, touted as the tallest waterfall between the Rockies and the Appalachians. Located in a difficult-to-reach area of the Buffalo National River, the 209-foot falls tumbles down a sandstone bluff and forms pools below. Another must-see waterfall in the region is Glory Hole Falls, which flows through a hole eroded in a ledge and into a shelter cave, creating an Instagram-worthy photo op. 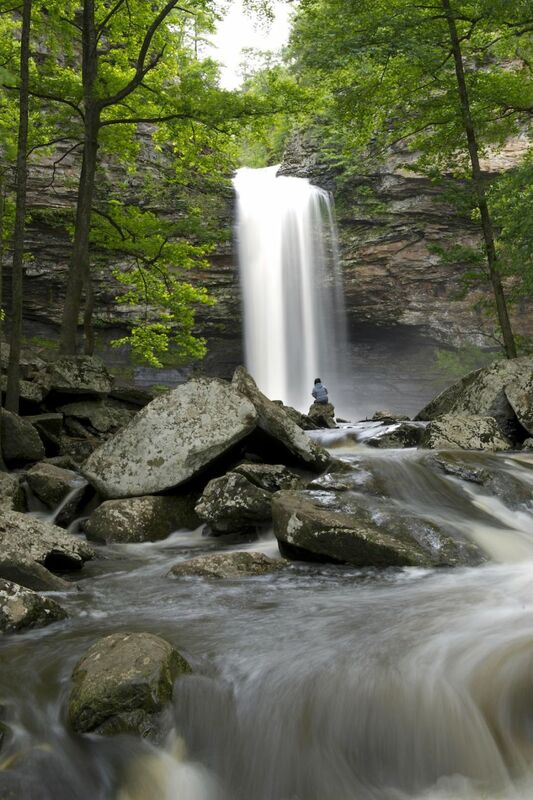 While hiking is required to reach many Arkansas waterfalls, there are a few exceptions. Natural Dam Falls, which stretches some 200 feet across Mountain Fork Creek, can be viewed from your car just north of Van Buren, while an accessible boardwalk leads visitors to an overlook of 95-foot Cedar Falls in Petit Jean State Park. 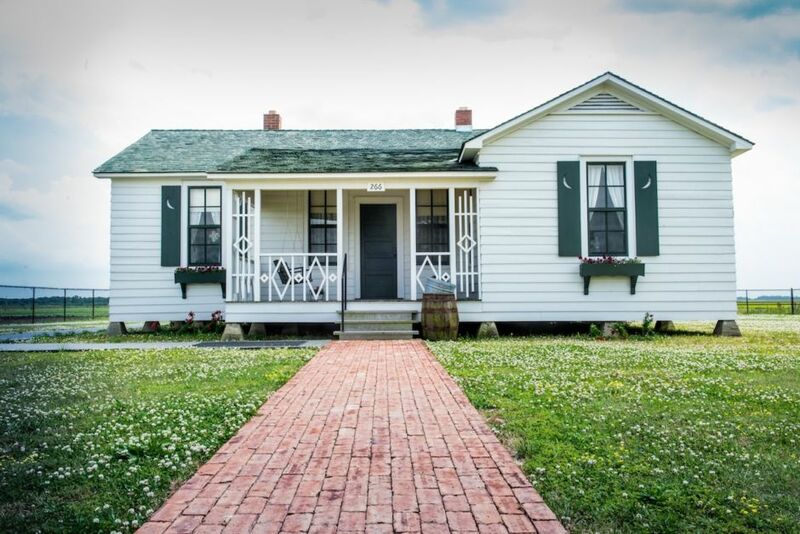 The Dyess Colony, which provided homes and delta farmland for nearly 500 families after the Great Depression, has been preserved by Arkansas State University and is open for tours. The Cash boyhood home has been restored inside and out, complete with front and back porches, 1930s-era furniture, and Cash’s mother’s piano. Crater of Diamonds State Park, in Murfreesboro, is the only place in the world where you can go diamond mining and take home whatever you find. Since the park opened in 1972, visitors have found over 30,000 diamonds, including the one-in-a-billion Strawn-Wagner Diamond, the American Gem Society’s most perfect diamond. The park’s 37.5-acre search area is a rockhound’s paradise, with an average of two diamonds found per day. The surface of this ancient volcanic crater has also yielded agate, garnets, jasper, and quartz — and you can keep those, too. Ernest Hemingway and his second wife Pauline Pfeiffer traveled across the globe, visiting Paris, Africa, Key West, and even the northeastern Arkansas town of Piggott (spoiler alert: that’s where Pfeiffer’s family lived). The Pfeiffers converted a barn loft into a writing studio, where Hemingway retreated to focus on his first bestseller, A Farewell to Arms. 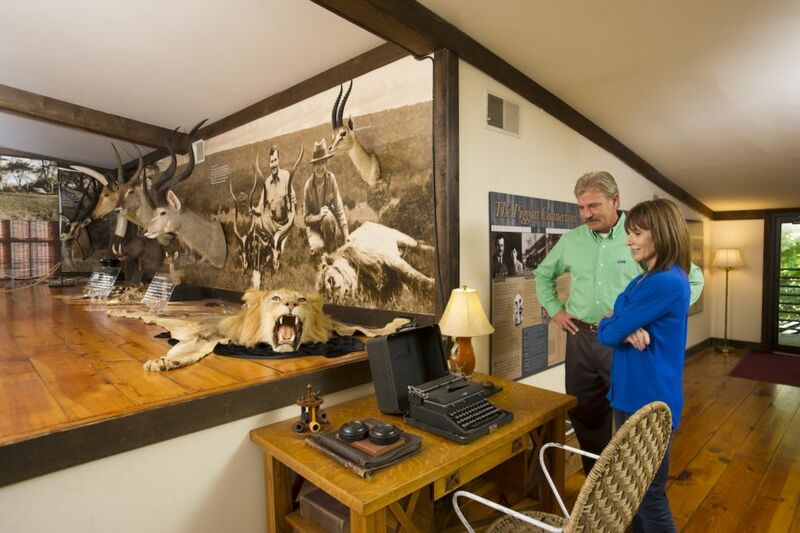 Now on the National Register of Historic Places, the barn studio has been renovated as part of the Hemingway-Pfeiffer Museum, complete with several original pieces of furniture, including Hemingway’s poker table and dresser. Climb, crawl, and squeeze through undeveloped areas over 200 feet deep inside Blanchard Springs Cavern on the four-hour Wild Cave Tour. 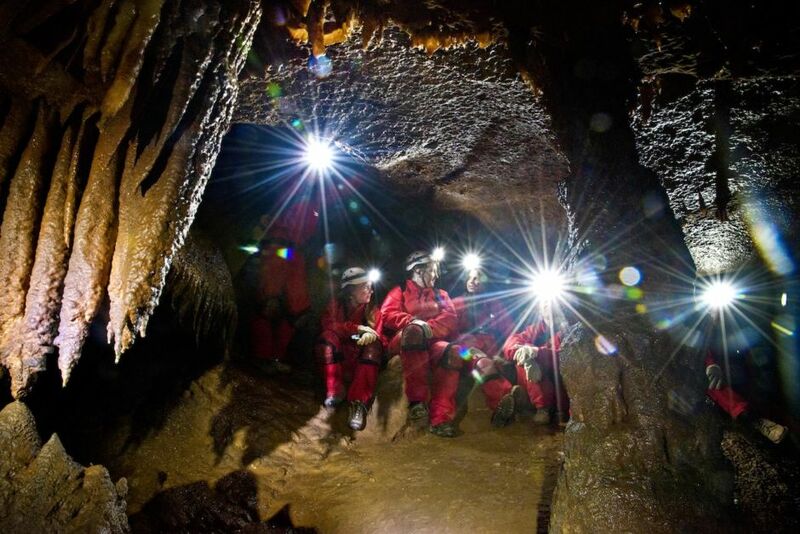 The caving adventure will take you to spots with names like the Birth Canal and the I’ll Miss You Hole, and is so rough and dirty that coveralls, a headlamp, gloves, kneepads, and a helmet are provided. Also led by US Forest Service interpreters, other tours in this living cave full of ever-changing crystalline formations include the accessible but steeply inclined half-mile Dripstone Trail and the longer Discovery Trail, which takes you to the cave stream and requires climbing nearly 700 steps. Visit the Ozark mountain town of Eureka Springs, and you’ll encounter streets brimming with shops, restaurants, and galleries inside historical Victorian buildings. You won’t find any stoplights or streets that cross at right angles downtown, but you will see a fairytale glass chapel, underground tunnels, and perhaps even a few ghosts. 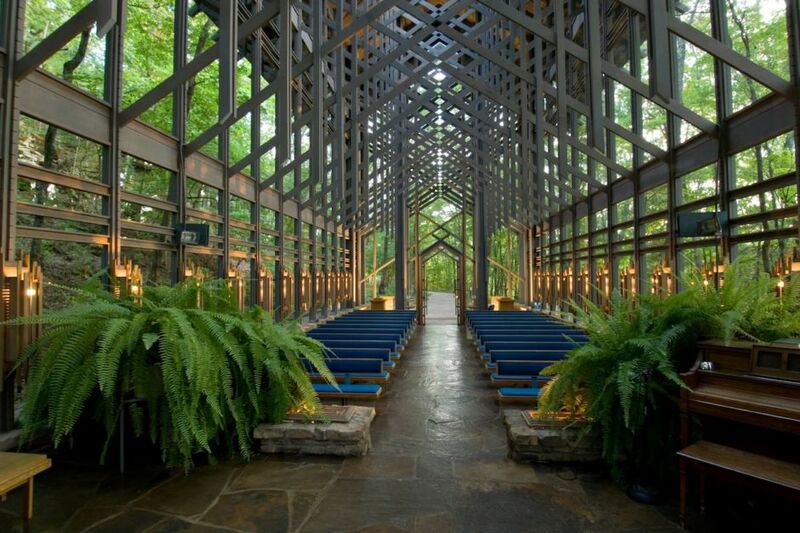 Thorncrown Chapel is a 48-foot-tall building with over 6,000 square feet of glass. If the supernatural is more your style, take the city’s Downtown-N-Underground Tour, or check into one of the town’s two haunted hotels — the 1886 Crescent Hotel & Spa or the 1905 Basin Park Hotel — for an overnight stay or ghost tour. Step into Jones Bar-B-Q Diner on Louisiana Street in Marianna, and your dining choices are: a) pulled pork barbecue sandwich with slaw, or b) pulled pork barbecue sandwich without slaw. Yep, you’re in the right place. 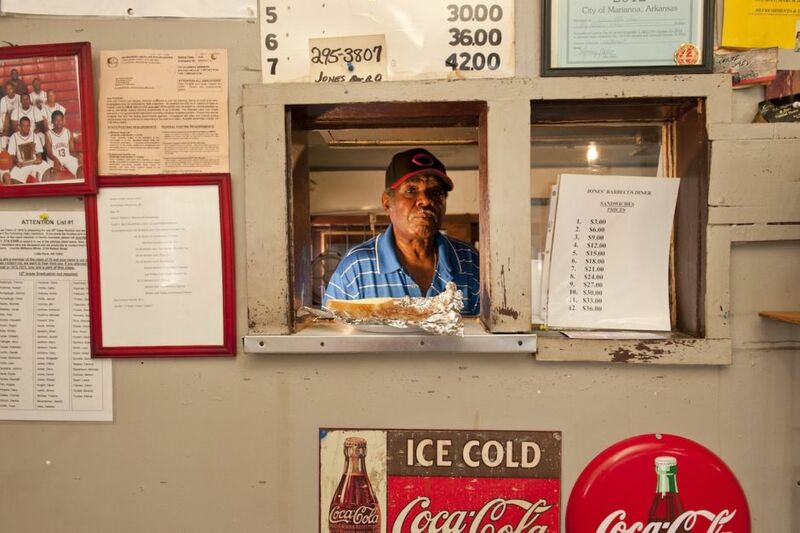 A James Beard Foundation America’s Classic Award winner in 2012, the tiny diner has been at the same two-table location in the heart of the Arkansas Delta since the 1960s, but the Jones family has been serving up its secret family recipe for over 150 years. If you go, go before lunchtime — the diner, open six days a week, often sells out well before noon. 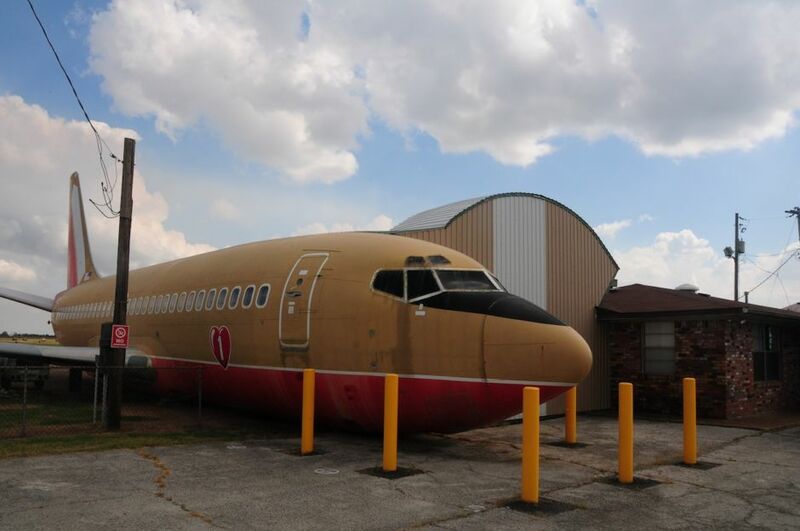 Bring your appetite instead of luggage to the Parachute Inn, a Boeing 737 converted into a restaurant with an old-school Southwest Airlines vibe, down to its vintage seats and overhead bins. The menu is a mix of Southern classics — think fried catfish and hushpuppies — and diner favorites. While waiting for your food, take some selfies in the cockpit. Your Instagram will thank you later. The Parachute Inn is located at the Walnut Ridge airport, which had a moment of fame when the Beatles made a stopover in September, 1964. Sensing an opportunity, the town also hosts the Beatles at the Ridge Festival, celebrating — you got it — everything Beatles. 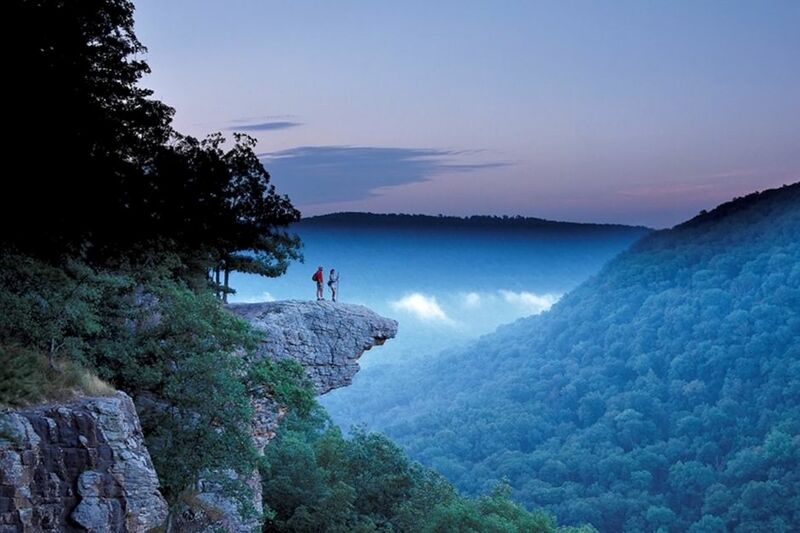 Whitaker Point, also referred to as Hawksbill Crag, is an Arkansas landmark with birds-eye views of Ozark National Forest and is reachable via a three-mile out-and-back hike. Disney fans might recognize the formation from the opening scenes of Tuck Everlasting — it’s also one of the most photographed spots in the state. Find the trailhead via a rough dirt road on the northern edge of the Upper Buffalo Wilderness. Hike out early in the morning to catch the sunrise, or pack a lunch for a picnic on the overlook. 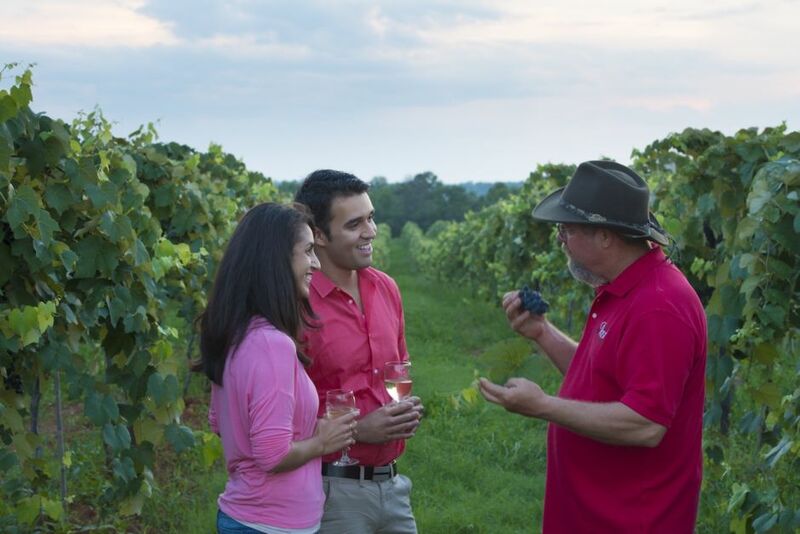 Grab a designated driver and hit the Arkansas Wine Trail, a collection of wineries that stretches from the northwest of the state to just north of Little Rock. The route features over a dozen wineries large and small, including several that have been producing wine for over a century. Your stops might feature drinking wine from the hand-dug cellars of one of the oldest wineries in the United States, Wiederkehr Wine Cellars; sampling vino from the massive Chateau Aux Arc Vineyards (they’re the largest US Chardonnay grower outside of California); or touring the Arkansas Historic Wine Museum at Cowie Wine Cellars and Vineyards. Who knew Arkansas was wine country? This post is proudly produced in partnership with the Arkansas Department of Parks & Tourism.